Florida law has long recognized the right of an individual to exercise self-defense and defense of others. But as of 2005, the state’s “Stand Your Ground” law removes the “duty to retreat, and justifies the use of lethal force under certain circumstances. Fort Lauderdale criminal defense lawyers at The Ansara Law Firm, know this controversial law is often misunderstood. That has led to serious problems for people who mistakenly thought their actions in taking a life would be legally justified. Because “Stand Your Ground” provides immunity from prosecution when it can be established the law applies, it’s a very valuable tool for Florida criminal defense lawyers. But it must be carefully asserted because its scope is limited and the public opinion of it is still mixed. What Is Stand Your Ground? Whenever violence erupts resulting in injury or death to another, claims of self-defense are common. For “Stand Your Ground” to be applicable, circumstances have to meet certain criteria. He or she is acting under and according to the circumstances as set forth in F.S. 766.013 (which involves a home or vehicle invasion). “Stand Your Ground” is not a new kind of self-defense. The legal principle allowing lethal force where reasonable fear of serious bodily harm or death exists had been established in Florida since the early 1890s. But this law, passed in 2005, serves to broaden the scope of a self-defense claim by specifying that a person has “No Duty to Retreat” under certain circumstances. A case may be identified as “Stand Your Ground” by police or prosecutors early on in the investigation, or raised by a defense lawyer at trial. Ideally for the accused, it would be prosecutors who make this determination before charges are filed. A criminal defense lawyer can assist presenting evidence or arguments to the prosecutor that may help to dissuade him or her from filing charges. When Does the Law NOT Apply? Believed to have provoked the violence against himself or herself. The other person continued or resumed use of force in spite of this communication and withdrawal. Before “Stand Your Ground” was enacted, a person was required under the law to take every reasonable effort in his or her power to avoid the danger before deploying deadly force in self-defense. That reasonable effort included the duty to retreat. This “duty to retreat” wasn’t written into any specific law, but was long recognized in the state’s common law, established by the courts. The other thing the law does is extend additional rights in cases involving intruders. F.S. 766.013 holds that when someone illegally enters, tries to enter or refuses to leave another person’s home or vehicle – which the second person owns or is lawfully occupying – the owner or occupant will be presumed to have a reasonable fear of imminent death or bodily harm. In those cases, deadly force will be justified because it is presumed the intruder is acting with the intent to commit an illegal act involving violence or force. Prior to Stand Your Ground, Florida did recognize the Castle Doctrine, which hold that if someone is in their home, is not the aggressor and is violently assaulted or confronted, there is a presumption that homeowner would reasonably believe lethal force was necessary and justified. Now, the presumption of “reasonable belief” is extended so long as the occupant is acting within his or her home or vehicle. Once a person raises the “Stand Your Ground” defense, the burden of proof shifts to the prosecutor to show defendant did not act in self-defense. The law has been hugely controversial, even from its inception. Lawmakers introduced the measure after a 2004 case in which an elderly man in Pensacola shot and killed a would-be home intruder late at night. It took three months for the state to determine the shooting was justified. Legislators repeatedly cited the case as an example of the measure’s necessity, though opponents noted key facts of the case were consistently misconstrued. “Stand Your Ground” has been under scrutiny since then in most other cases where it’s been used. Perhaps the most notable case was the high-profile shooting death of Trayvon Martin by George Zimmerman, a neighborhood watch volunteer in Sanford. Zimmerman claimed self-defense, and was later acquitted. Jurors would later say the law was central to their decision. It’s worth noting that the “Stand Your Ground” law does not prohibit prosecution. In fact, there are many examples in which prosecutors filed charges against defendants even when it was fairly clear the law applied. In those situations, a defense lawyer will file a Motion for Declaration of Immunity and Dismissal. A judge will then hold a hearing to decide whether to grant that motion. If the motion is granted, the case is dismissed. If it is not, the case will go to trial. The use of fatal force can be justified in Florida, but convincing a prosecutor or jury of that requires a legal team with extensive resources and experience. 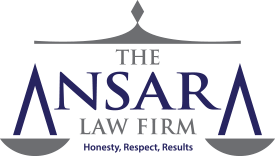 If you have been charged with a gun crime or weapons offense in South Florida, contact the Fort Lauderdale Criminal Defense Lawyers at The Ansara Law Firm by calling (877) 277-3780.